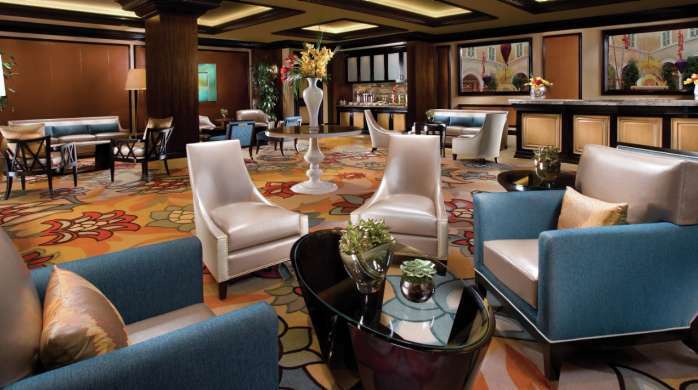 The Fountain View Queen Rooms offer beautiful vantage points for the famed Fountains of Bellagio with the beautiful backdrop of the Las Vegas Strip. 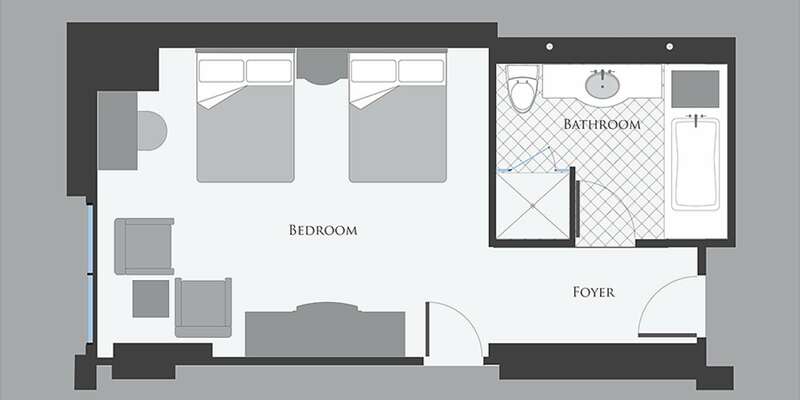 These rooms are located in Bellagio Tower's North and South Wings with double Queen sized beds. These luxurious 510 square-foot rooms offer marble flooring in the foyer, a convenient sitting area with frosted glass top desk and a sophisticated entertainment center. Mood lighting, individual climate controls and individually controlled reading lights offer guests comfort and convenience. Your custom-designed Fountain View Queen Room is uniquely enhanced with sophisticated amenities including a 40" LCD Flat Panel HDTV, two Queen sized Bellagio-branded cashmere top mattresses, iPod MP3 docking stations, personal in-room safe, automatic drapery with sheer controls and fully integrated technology allowing for mobile devices to be viewed on your room's high-definition flat-panel television. 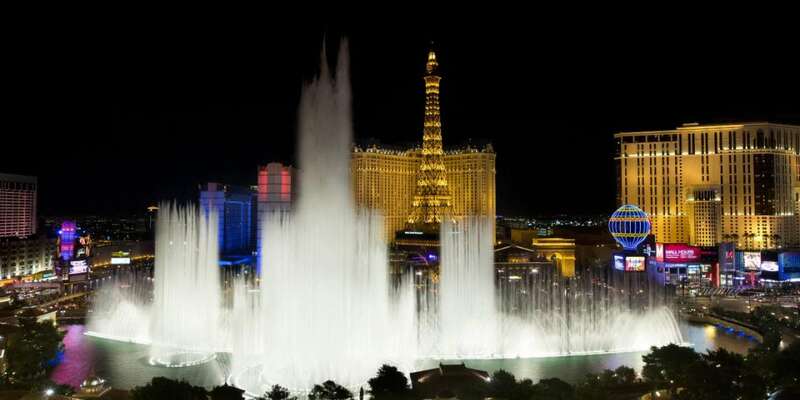 Located in the Bellagio Tower - Enjoy prime vantage points to view the famous Bellagio Fountains and the Las Vegas Strip.